"Who has two thumbs and holds up the sky? This guy!" Moana is yet another great Disney movie. With a strong female heroine, this movie screams girl power. Get your hands on this print featuring Maui, the coolest demi god every to roam the Pacific. Responsible for all the cool things that humans love like the islands, the sea, the wind, and so much more, Maui love his humans very much. 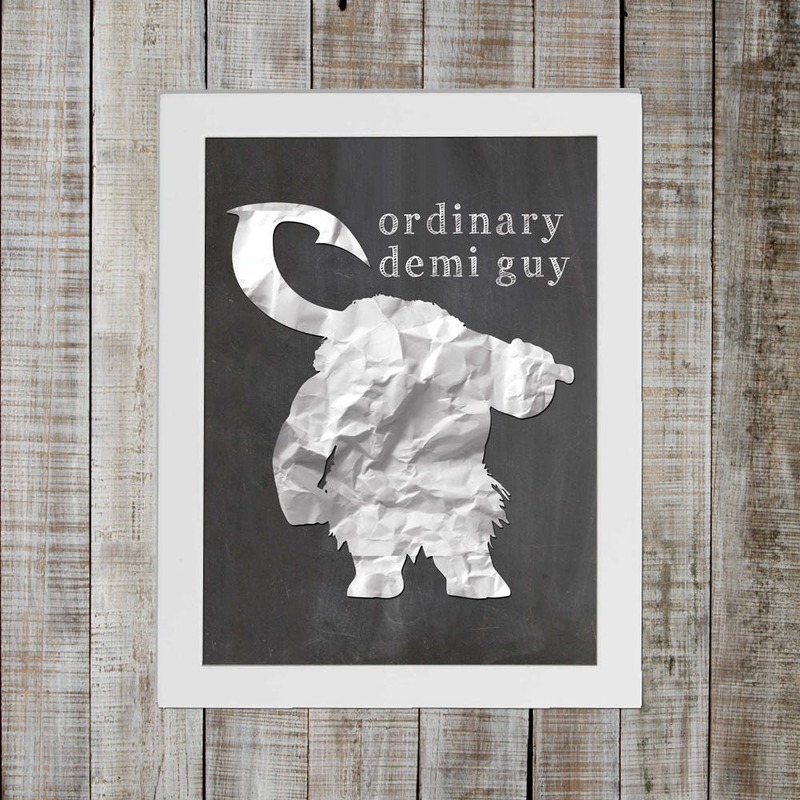 Still, he is just an ordinary demi guy! Resembling a chalkboard and paper cutout, this design looks good in any environment. It makes a great gift, or better yet, get two and keep one for yourself.